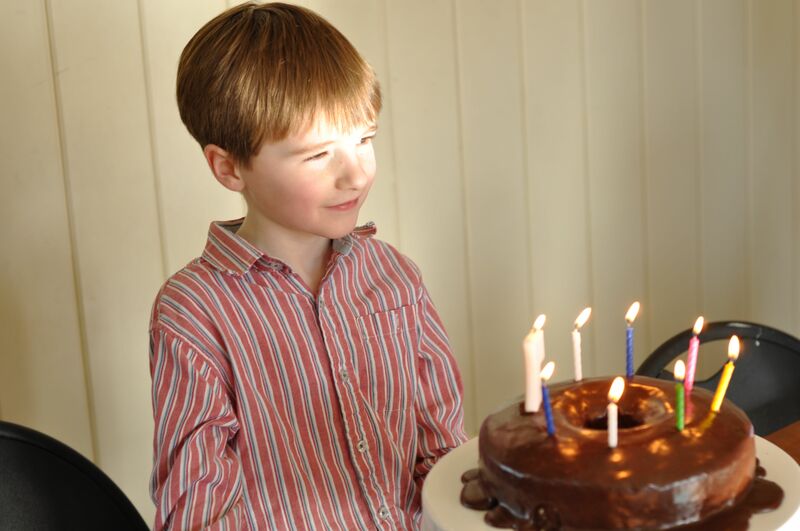 But getting back to reality, we had a couple of birthdays to celebrate, and of course there was food to accompany them. 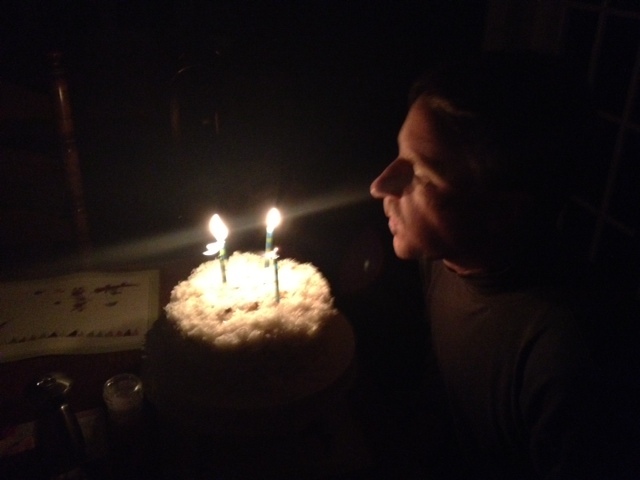 Here’s the hubby blowing out his candles (in one breath still!) on his baker daughter’s triple-layer coconut pecan cake. Yum. The seven year old had a little more fan fare. 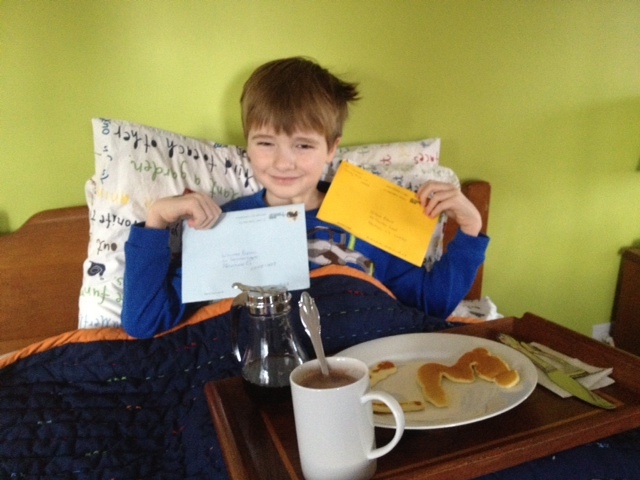 The day began with the traditional breakfast in bed. G whipped up pancakes and poured them into W and 7 shapes for the little man. He was happy. Later, the cousins arrived for brunch (well, really they just ate the cake – wise beyond their years, they are) on Sunday afternoon. I baked a couple of favorite dishes that I adore, mainly because they can be made ahead. And they taste good as well. 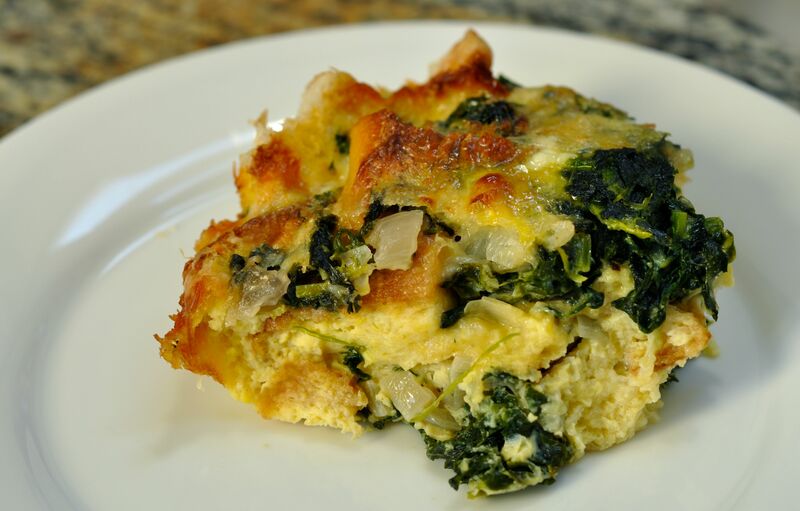 Caramel French Toast and Spinach and Cheese Strata can be made the night before and baked about an hour before serving. Add leafy green and fruit salads, and you can almost cancel out the amount of heavy whipping cream and shredded Gruyere used in the hot dishes. Not that we needed anything more to eat, but what’s a birthday without cake. 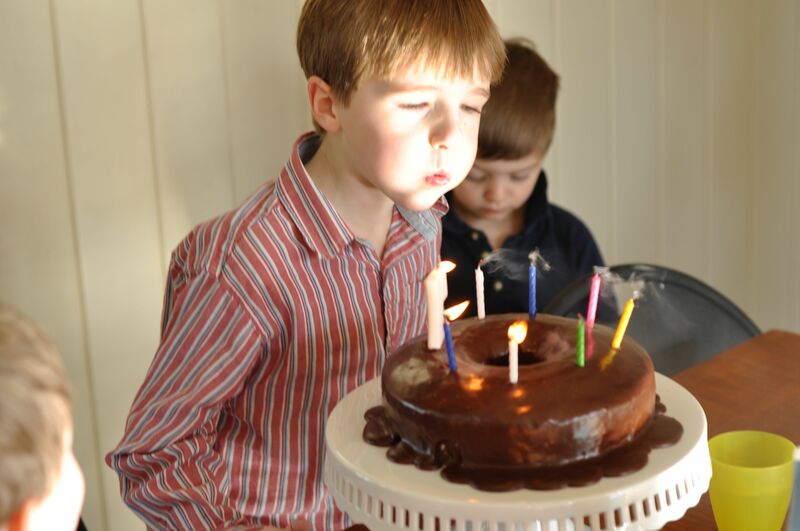 And W wanted chocolate cake. He’s my boy. So out came the Silver Palate Cookbook. This childhood cake is another food that transports me back to the 1980s, cooking in the kitchen with my mom. She wasn’t big on baking, but this Decadent Chocolate Cake was one of her specialties. 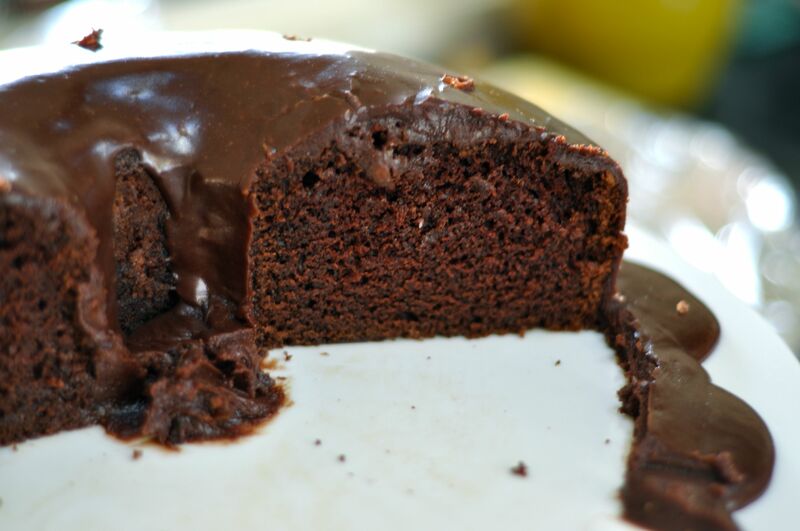 And it never fails to please, with the perfect marriage of dense cake glazed with a layer of liquid fudge. 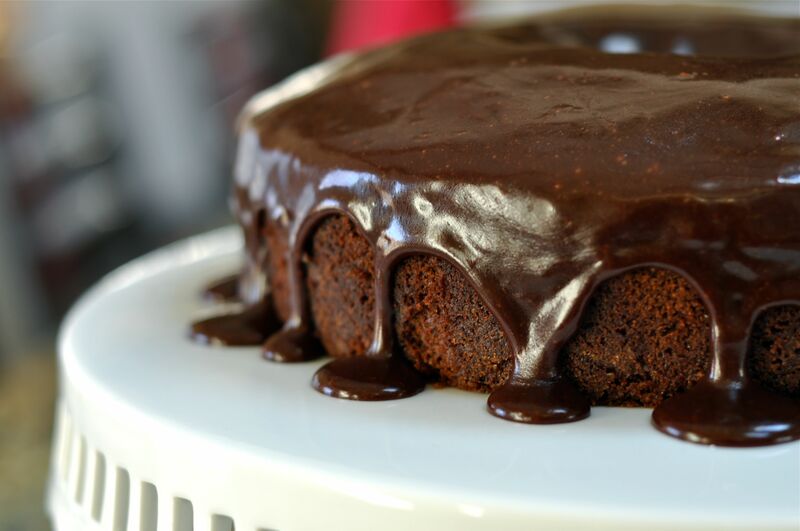 The special ingredient (besides love, of course) is the sour cream, which keeps this tube-pan cake deliciously moist and enhances the true chocolate taste. I laughed when I saw this sequence. 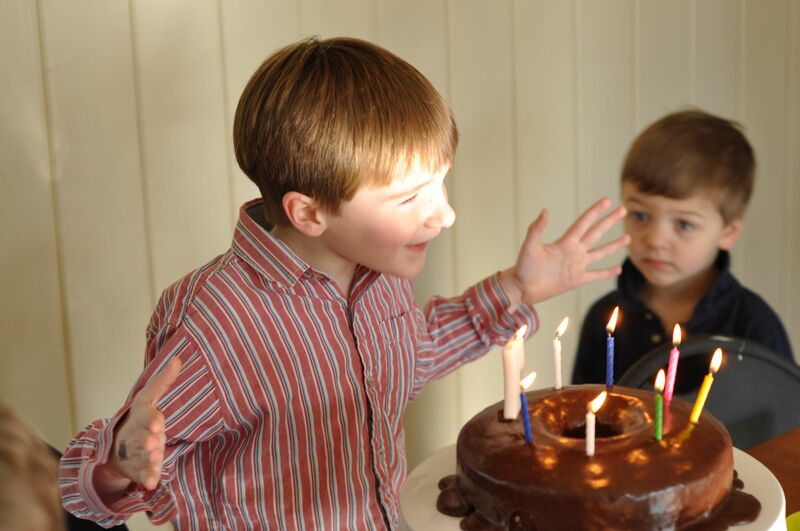 It begins with the birthday boy, then the cousin wanders over nonchalantly. 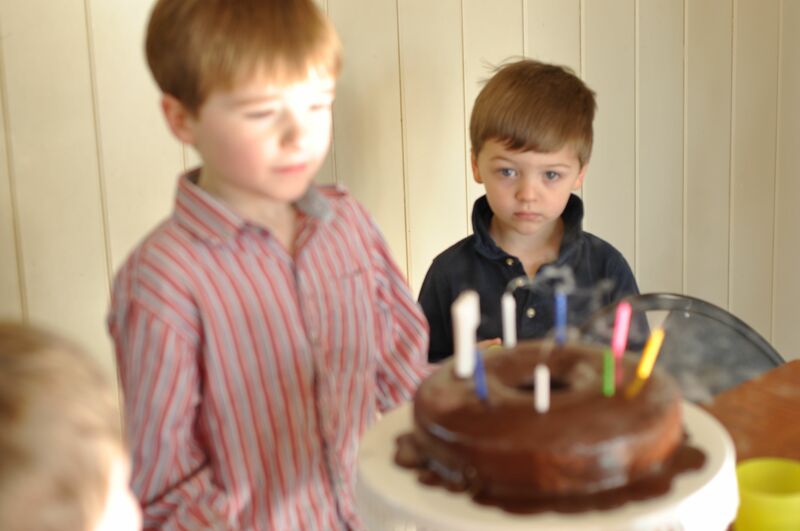 But the last photo reveals what’s holding the cousin’s interest: cake! And maybe they’re both wondering if birthday wishes come true. I’d like to think they do.